I have been unable to find any information online about the old abandoned Douglas Hollow School. 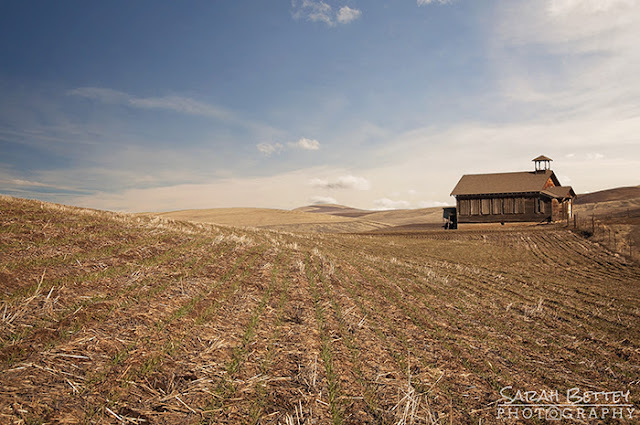 It is located outside of Dufur, Oregon off a little dirt road that cut through the middle of an expanse of fields. I hiked to the top of one of the hills behind the dilapidated building and could see a full 360 view around me. A gorgeous location for the lonely little structure. Quite dramatic views from there. From the looks of things, it looks late 19th century. A great capture and I do agree with William, it does look like the late 19th century!! Thanks for sharing!! Have a lovely weekend!! A pretty rural scene and school house. Lovely sky! Have a happy weekend! Isolated and windswept, just beautiful. I love this photo! Great shot! Beautiful view and school house! I enjoyed your other photos too. Gorgeous! What a beautiful shot! Nicely captured! A wonderful scene, a great capture for OYGIF. Lovely picture. I like the tones, colour and frame!